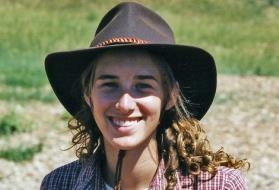 The Kimberly Anne Gillary Foundation is a 501(c)(3) charitable foundation that was established in memory of our beloved Kimberly who passed away on April 3, 2000. Our mission is to ensure that every Michigan high school has at least one AED and staff members who are certified in CPR and the use of an AED. We also advocate cardiac screening and testing of all high school student athletes. We want to do whatever we can to prevent another family from going through what we did with the loss of our beautiful daughter. 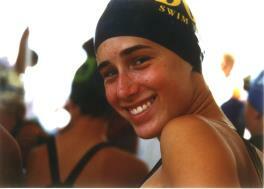 Kimberly suffered a cardiac arrest while playing in a water polo game for the Troy Athens High School team. This was the first year that Athens had water polo as a school sponsored sport and she was really excited about playing. Kim had an undetected heart condition known as hypertrophic cardiomyopathy (HCM). This condition causes the lining of the heart muscle to thicken. People with HCM are more susceptible to cardiac arrest during strenuous physical activity. No heart related problems were ever detected in any of the tests Kim had while growing up, including an EKG. The only way to detect this abnormality is by having a cardiac ultrasound. There is no known history of HCM in either side of our family. Kim was given CPR immediately, but the school did not have an AED. Her brain had been without oxygen for too long when the EMS arrived with a defibrillator. By then it was too late. There was a practicing cardiologist and his wife, a cardiac nurse, who happened to be at the water polo game and over saw her care. She was given the best care possible and still never regained consciousness. We believe that her chances of surviving her cardiac arrest would have greatly improved had there been an AED at the school. 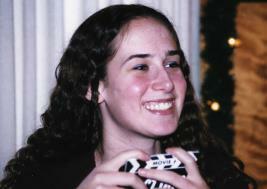 Kimberly was taken off life support two days later after it was determined that she had no neurological activity. That was the hardest thing we ever had to do. Our precious Kimberly was only 15 years old.